Mud, Sweat and Gears is a family friendly 4x4 club located in South Eastern Michigan. While most of our club members enjoy off-roading in a Jeep, we are open to all 4x4 vehicles. We also support Great Lakes Four Wheel Drive Association, United Four Wheel Drive Association, Tread Lightly and promote Safe and Legal wheeling. If you are interested in becoming a member, please click on the Contact page for more information on attending a monthly meeting! 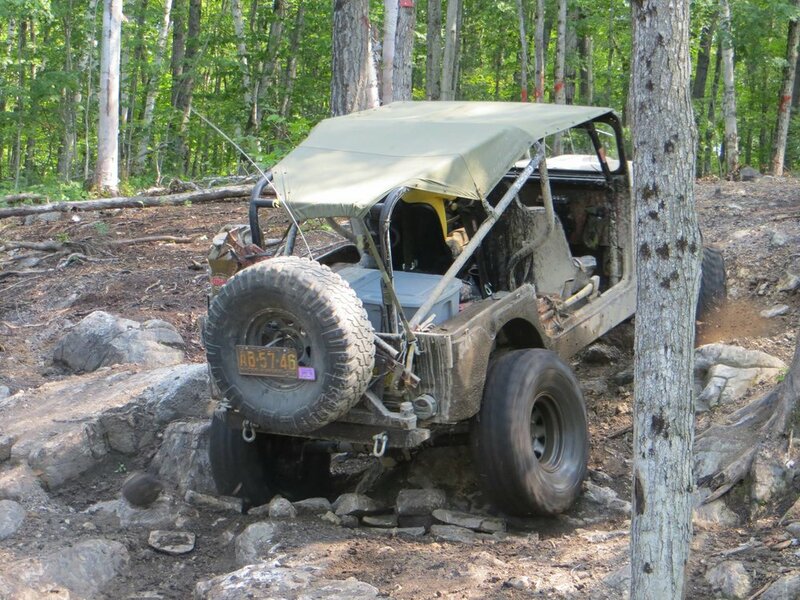 OUR CLUB HOSTS DRUMMOND ISLAND OFFROAD ADVENTURE - A GREAT LAKES FOUR WHEEL DRIVE SANCITIONED EVENT - ANNUALLY IN AUGUST. TRAILHEAD CAMPGROUND - LINING UP FOR DRUMMOND ISLAND OFFROAD ADVENTURE IN AUGUST OF 2014. DRUMMOND ISLAND, MI HAS SOME OF THE BEST TRAILS IN THE STATE. WITH A LITTLE SOMETHING FOR EVERY TYPE OF WHEELER, DRUMMOND ISLAND IS SURE TO LEAVE ITS SPOT IN YOUR HEART! SOMETIMES IT'S TIGHT AND TECHNICAL, SOMETIMES IT'S A LITTLE ROCKY AND SOMETIMES IT'S A MUDDY MESS. BUT IT IS ALWAYS A TON OF FUN! FOR THE PAST FEW YEARS WE HAVE ENJOYED A SOLD OUT EVENT. IT IS SO MUCH FUN TO COME TOGETHER AS ONE BIG HAPPY WHEELING FAMILY FROM ALL OVER THE STATE OF MICHIGAN AND BEYOND. WE ENJOY MEETING NEW FRIENDS EVERY YEAR SO WE HOPE YOU'LL JOIN US!